The awe-inspiring coastlines we all love so much are under serious threat. Surfers are among those who see and experience ocean pollution first-hand, and it is now becoming more clear than ever that these lands might not still be around for future generations to enjoy. Every minute, the equivalent of one garbage truck of plastic ends up in the world’s oceans. Over 8 million metric tons of plastic are being dumped in our oceans each year. Plastic makes up nearly 70% of all ocean litter. A plastic bag was found at the bottom of the Mariana Trench, the deepest point in the ocean, extending 36,070 feet (10,994 meters) down into the Pacific Ocean. 91% of plastic is not recycled. It is predicted that by 2050 there will be more plastic in the ocean than fish. In the last few decades, the shark population has experienced a dramatic decline, of up to 80% in some species. This is the result of human intervention on their environment. Over the last century, sea turtle populations have declined dramatically, some species by up to 90%. The North Atlantic right whale could face extinction. Dolphin populations are declining at an alarming rate. One in four species of dolphin is on the brink of extinction. The ocean absorbs around 40% of the carbon dioxide released by burning fossil fuels, and coral reefs are the ones that suffer for this. Heavy industrialization has a hazardous impact on coral reefs. The ocean chemistry that the reefs rely on to survive is constantly being altered by chemical runoff, discharged sewage, animal waste, sediments from deforested areas, and destructive fishing practices. Over the past 30 years, roughly half of the world’s coral reefs have been lost. Since 2016, half of Australia’s Great Barrier Reef has died. It is predicted that over 90% of the world’s coral reefs will die by 2050. Overfishing and pollution are taking their toll. Don’t turn a blind eye! It might be too late to reverse the consequences that we brought onto ourselves, but we can try our best to slow them down. Stay informed and find out what you can do to help to avoid the dark predictions above. While scientists all agree that our oceans are facing extinction, they do not have a clear game plan. Unfortunately, it is too late for easy solutions. But you CAN make a change by thinking globally and acting locally. Join a non-profit organization and help make a difference. Surf with a purpose! 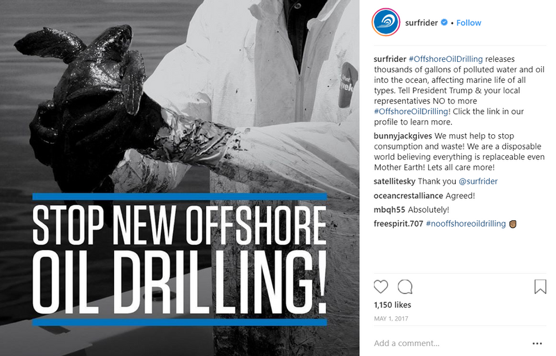 Founded by a group of surfers turned environmentalists, the Surfrider Foundationhas been fighting to protect the beaches and oceans worldwide since 1984. The California-based nonprofit organization allows people to connect and participate in coastal conservation efforts. The powerful activist network operates in multiple locations, including New York and New Jersey, with branches extending all the way to South America, Europe, and Japan. Surfrider Foundation Europe was founded in 1990 by a handful of surfers and now counts over 12,000 members and volunteer chapters in nine European countries. Donate! For every US dollar donated to the foundation, 84 cents go directly into funding programs and campaigns that help protect the world’s coastlines. The rest goes into supporting future donations and covering operating costs. What else can you do? First of all, start making responsible choices! Then, you can volunteer, sign digital petitions, sign up for the newsletter to stay up-to-date with the latest pressing issues, or become a member and your fees will be directed towards supporting the campaigns. Save the Waves is a global nonprofit organization that seeks to address a large number of concerning environmental issues. Based in Davenport, California, they have a strategic game plan to protect coastal regions by focusing on the surf spots. Famous surf spots are threatened by harbors, jetties, coastal armoring, and breakwaters, which can cause the waves to disappear altogether and the ecosystems to face irreparable damage. In fact, the coalition was born after a perfect world-class wave was damaged by backwash on the island of Madeira in 2001. Through their World Surfing Reserves program, launched in 2009 together with National Surfing Reserves Australia and the International Surfing Association, they help conserve some of the world’s greatest surf spots and coastlines. It’s not just the surf breaks that they wish to protect, but also the environmental, cultural, and economic characteristics of an area. Save the Waves partners up with local communities to raise awareness on climate change, water pollution, and over-development near the coast. It also collaborates with local governments to find sustainable solutions and make the right decisions when it comes to protecting the coral reefs. They also fight for free access to the world’s beautiful coastlines. Throughout the world, portions of coastlines are being sold to private developers, who close down entire beaches and restrict public access. This sometimes happens with popular surf breaks too. Donations go straight towards campaigns and programs. You can also volunteer, become a member, shop at the store, and become an intern by joining the coalition. Download the Endangered Waves App and help monitor the health of the breaks you surf by reporting coastal threats. This helps keep track of the health of the world’s coastlines through crowdsourced data. A grassroots movement dedicated to protecting the UK’s coastlines, Surfers Against Sewage (SAS) is an environmental charity founded in 1990. Through volunteering programs, community action, conservation, campaigning, education, and scientific research, they empower communities to take action to protect beaches, marine life, and surf spots. First and foremost, learn how you can reduce plastic waste through some very simple changes in your lifestyle. Then, you can donate, fundraise, join a beach cleanup or a charity campaign, sign petitions, become a member and join fellow surfers dedicated to saving the world’s oceans, or even leave a gift in your will. Through educating local communities, advocating for conservation policies, and establishing and managing protected areas, WILDCOAST is trying to reduce the impact of climate change, conserve coral reefs, prioritize sewage treatment, and protect wetlands and coastal wildlands. In California, WILDCOAST fights to conserve 545,280 acres of marine protected areas by putting a stop to destructive practices like overfishing, offshore drilling, and deep-sea mining. The organization also provides training and workshops dedicated to protecting sea turtles by conserving their nesting beaches and establishing new protected areas. They also work with local communities on the Baja California Peninsula to ensure the protection of the gray whale nursery habitat. Donate! WILDCOAST needs your support to continue their efforts. Volunteer. Subscribe to the newsletter to stay up-to-date with the latest projects, job vacancies, and internship opportunities. 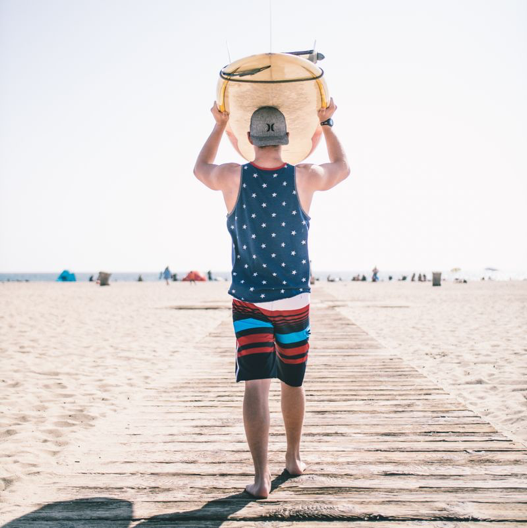 What began as a grassroots organization has grown into a global community of beach-lovers, surfers, and environmentalists who wish to keep their favorite spots clean. Take3 is an international organization that is currently present in 129 countries with the help of Instagram. Their aim is to reduce global plastic pollution through education and participation, while fighting to get beach-goers to clean up their trash when they leave the beach. Help reduce global plastic pollution by following Take3’s message: Take 3 pieces of rubbish when you leave the beach, waterway or…anywhere! Donate to support an ocean free of plastic pollution. Subscribe to their newsletter to receive info about the latest projects and upcoming beach cleanups. You could also shop their online store to help raise important funds for educational programs in schools, local communities, and surf clubs. Join the movement by using the #take3forthesea hashtag to spread the word and inspire other communities to take action as well. 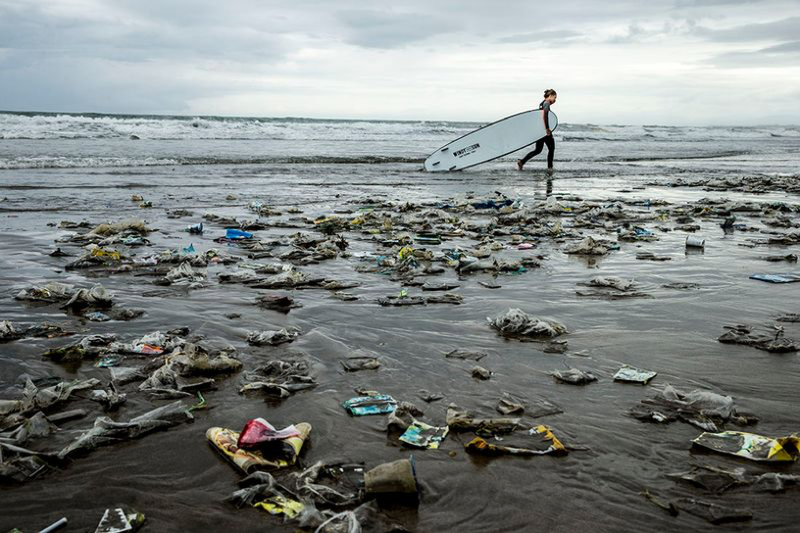 It all started with a surf trip to Bali, where young surfers Andrew Cooper and Alex Schulze were devastated by the amount of plastic in the ocean. They needed to create something that would support the cleanup efforts, and that’s how the 4Ocean Bracelet was born. 4Ocean bracelets are made using 100% recycled materials and have a unisex design. With the money raised from selling these bracelets, 4Ocean employs cleanup crews to clean our oceans and coastlines seven days a week. So far, they have removed 970,000 pounds of trash from the oceans around the US, Bahamas, Haiti, and the Philippines. You can be the one who pulls the next pound! 4Ocean frequently collaborates with various organizations to help support other causes as well, such as saving sea turtles or sharks, and raising awareness on the threat that certain maritime species are facing. Join the movement by purchasing a 4Ocean Bracelet. Each bracelet you buy will help clean one pound of trash from the world’s oceans. Based in San Clemente, California, Sustainable Surf seeks to transform the surf industry and community by convincing them to make more sustainable choices. The global surf industry is currently worth around USD22 billion, out of which USD8 billion are generated in the US alone. Unfortunately, the industry is following an unsustainable model. Sustainable Surf addresses environmental issues such as climate change, marine plastic pollution, and water quality, and believes that part of the solution lies in educating surfers about the impact their lifestyle choices have on the environment and in changing the way surfboards are being manufactured. For every unsustainable material used, there is a sustainable alternative that works just as well. The polyurethane surfboard industry is hazardous to the environment; the materials used are toxic to the environment, wildlife, and even humans. Through their ECOBOARD Project, the organization wishes to get as many surfboard manufacturers to produce boards using renewable/recycled, thus leaving a reduced carbon footprint. Change comes from what you buy! It all starts with the surfing community, who has the power to transform the industry by making environmentally-friendly choices when purchasing surfing equipment. Not just an eco-friendlysurfboard quiver, but your entire surfing apparel. You can also donate, volunteer, and participate in charity events and projects. Pro surfer Kyle Thiermann founded Surfing for Change back in 2008 in Santa Cruz, California. He was only 18 at that time. Since then, he has been traveling the world shooting short documentary films that highlight present-day environmental and social issues. The goal is to promote action among surfers and non-surfers alike to protect the ocean and environment. Through his films, Kyle wished to connect people with worthy causes and raise awareness on pressing environmental issues like climate change, pollution, and heavy industrialization. Sign up for the newsletter to receive the latest information on current issues and projects. Follow Kyle’s podcast, donate, and shop for books on his Book Club. By Octavia, travel writer for BookSurfCamps.com. She is a passionate mountaineer, rock climber and adventure addict who feels just as comfortable high on the rocks as she does deep down in the sea.